The first time Otis Redding saw the Bar-Kays perform, he asked them to be his touring band. Otis Redding had just finished a show at the Mid-South Coliseum in Memphis, Tennessee, and wanted to check out the local music scene in the spring of 1967. So he started asking people what the hottest club in town was at the time and was told there was a place called the Hippodrome that was currently featuring a young band called the Bar-Kays. Redding made his way to the Hippodrome to check out the Bar-Kays and was so impressed with the band that he sat in for a set. Over the next few days, Redding persisted, even offering at one point to hire a tutor for the young musicians on the road. But the parents held their ground. They all said the boys needed to first graduate from high school in June of 1967 before they’d even consider allowing them to join Redding as his touring band. The Bar-Kays got their start in Memphis, which is where Otis Redding saw them perform for the first time. Redding, a singer, songwriter, record producer, arranger and talent scout had already established himself as the seminal artist in soul music and rhythm and blues by 1967. Many of his records had been produced by Stax Records, which was also based in Memphis. The Bar-Kays had already auditioned for Stax Records twice by that time, without getting a record deal. But once they graduated from high school, all the parents relented and the Bar-Kays hit the road with Redding. 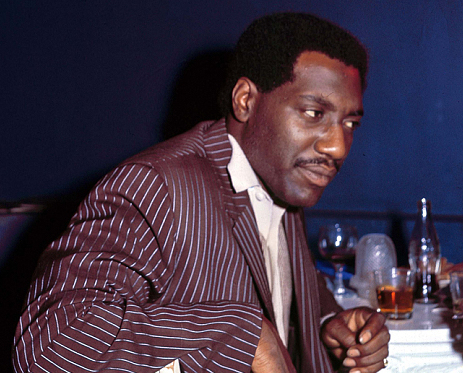 “The first day of the first show that we ever did with Otis Redding was at the Apollo Theater in New York. Prior to that, none of the guys in the group had gone more than a 50-mile radius of Memphis. So the first show we go to is in New York City. It was overwhelming,” said Alexander. As heady as those first few months were for the Bar-Kays backing Redding – they played gigs across the country – the story of the Bar-Kays would be forever tragically linked to Redding. Just a few short months later, on Dec. 9, 1967, Redding and the band appeared on the Upbeat television show in Cleveland. The next night, they were scheduled to perform at the Factory nightclub near the University of Wisconsin in Madison. 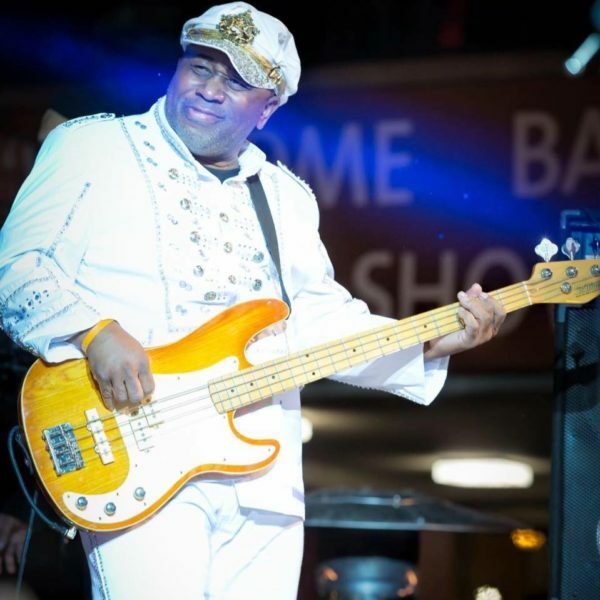 Bassist James Alexander of the Bar-Keys was one of two band members that was not on the plane that crashed killing Otis Redding. Despite poor weather, the Beechcraft H18 aeroplane took off for Madison on Dec. 10, 1967. Four miles from the destination, the plane crashed in Lake Monona, killing Redding, King, Jones, Cunningham, the band’s valet Matthew Kelly and pilot Richard Fraser. Cauley, a non-swimmer, was the only survivor of the crash, and he did so by clinging to a seat cushion in the frigid waters of the lake before being rescued. Alexander was sitting in the airport in Milwaukee when he got the news. “The pilot suggested that he was going to drop everybody off in Madison, and then come back and pick us up in Milwaukee. So we were sitting waiting for him to come pick us up and he never showed up,” said Alexander. In the months after the Bar-Kays had joined Redding, the singer-songwriter had co-written, with guitarist Steve Cropper, and recorded just days before his death, one of his greatest hits, “(Sittin’ On) The Dock of the Bay.” The song was posthumously released and went to No. 1 on the Billboard Hot 100 Singles chart and No. 1 on the Billboard Hot Rhythm and Blue Singles chart. After the tragedy, Cauley and Alexander re-formed the Bar-Kays and continued to perform. 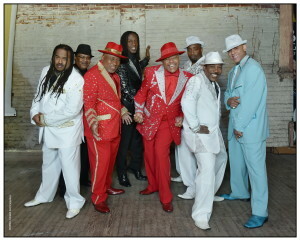 Cauley died in September 2015, leaving Alexander as the sole survivor of the original group to carry on the legacy of the band. Despite the tragedy that cut short the run of the original group, Alexander said he has had a fulfilling career. “I love the band that we’re playing in now. But even though we only played with Otis Redding for a short time, from maybe June through December, almost six months, I look back and I have fond memories of that and I just smile,” he said.